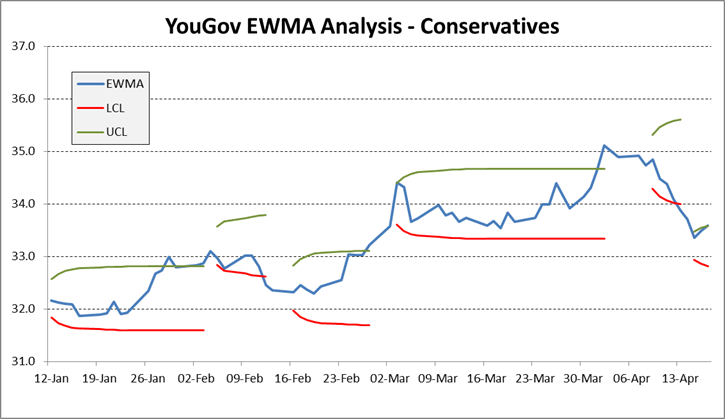 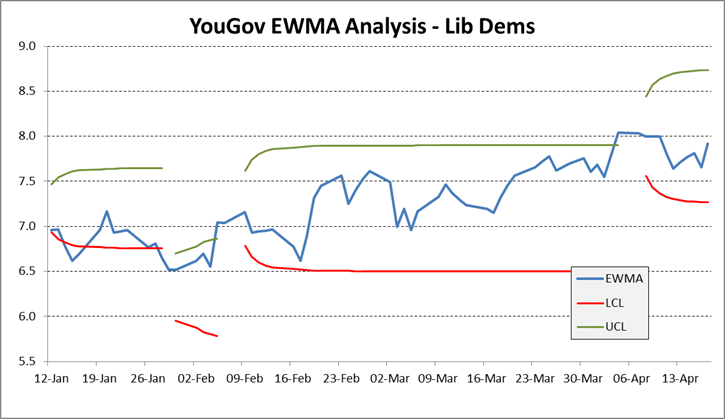 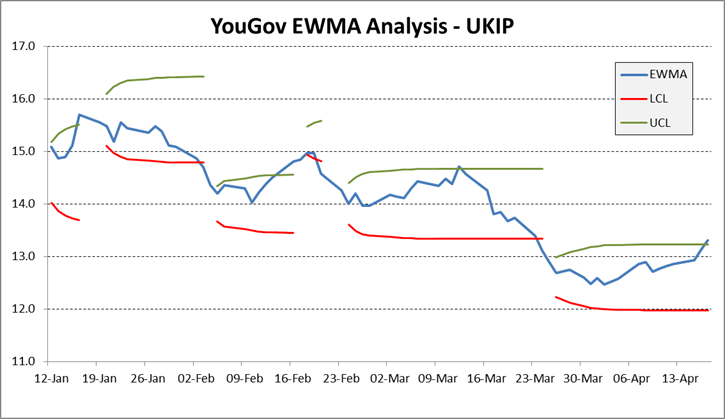 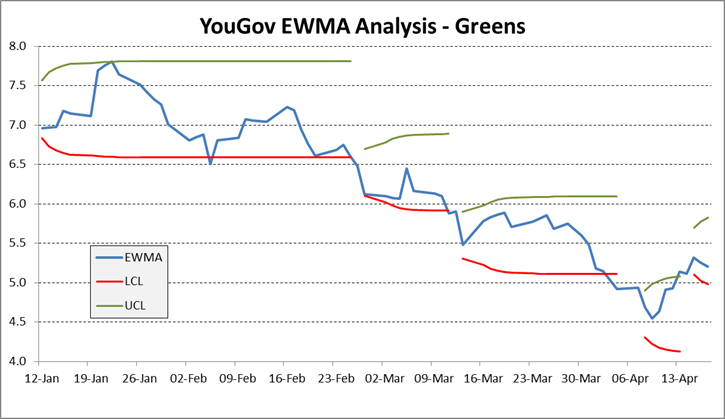 We have updated for mid-April our EWMA analysis on YouGov poll ratings. 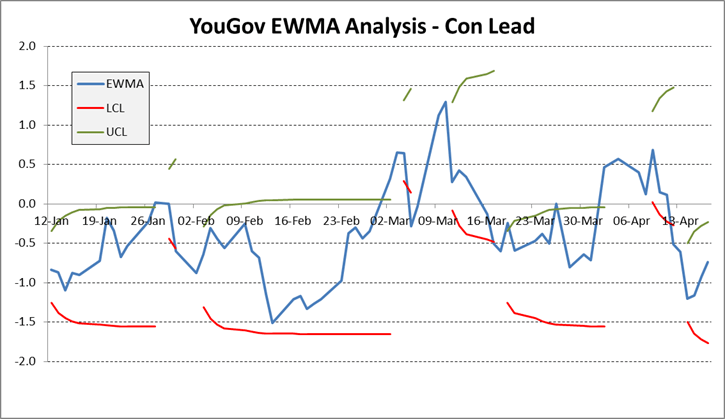 Key observations are as follows. 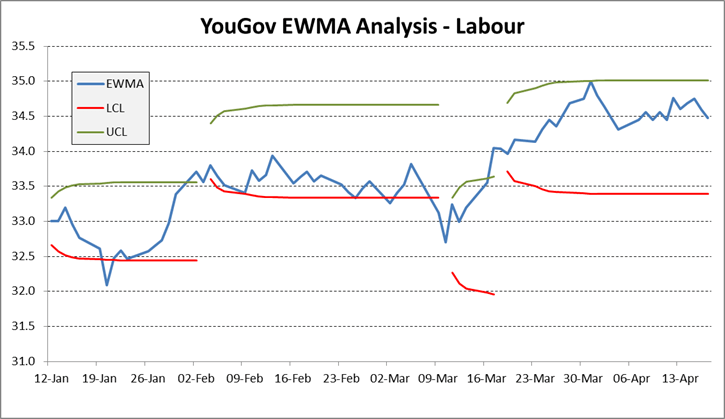 For an explanation of these charts, see here.